Archangel incorporates a four cabin layout with four heads. 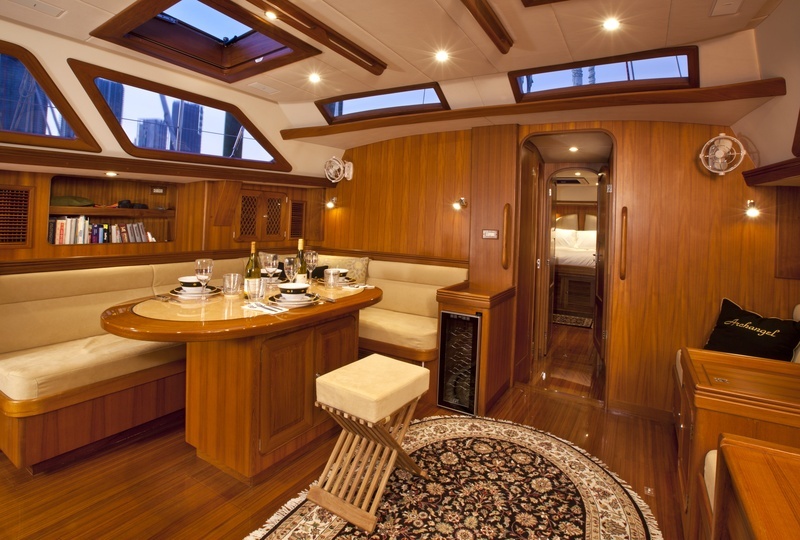 There is a large master cabin aft with centerline queen and two VIP guest cabins forward, both with large double berths. 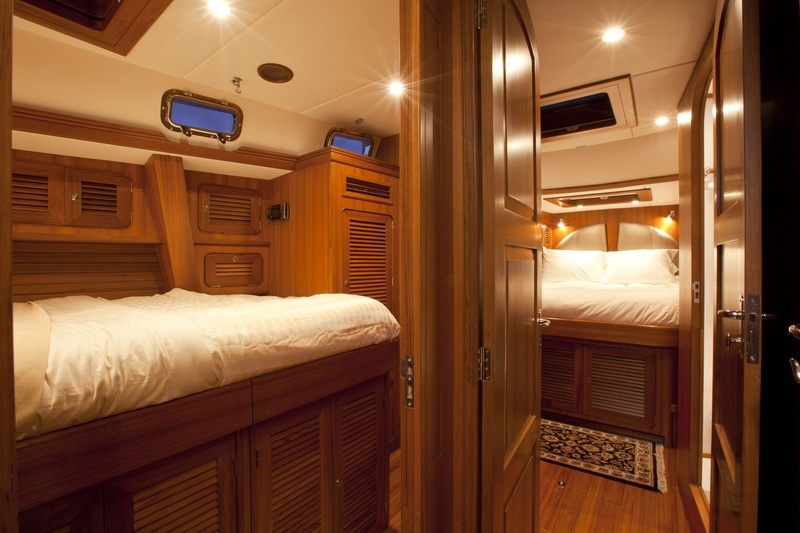 The fourth cabin is amidships for crew's quarters. Large U shaped settee on port side with 4' x 5' dining table with cabinet in base. Table base/cabinet is 30" long and 20" wide, accessed from starboard side. Fixed captain's chairs to starboard . Back and base of chairs lift for access to storage. Table with cabinet door at base between captain's chairs. Forward starboard cabinet is liquor cabinet. 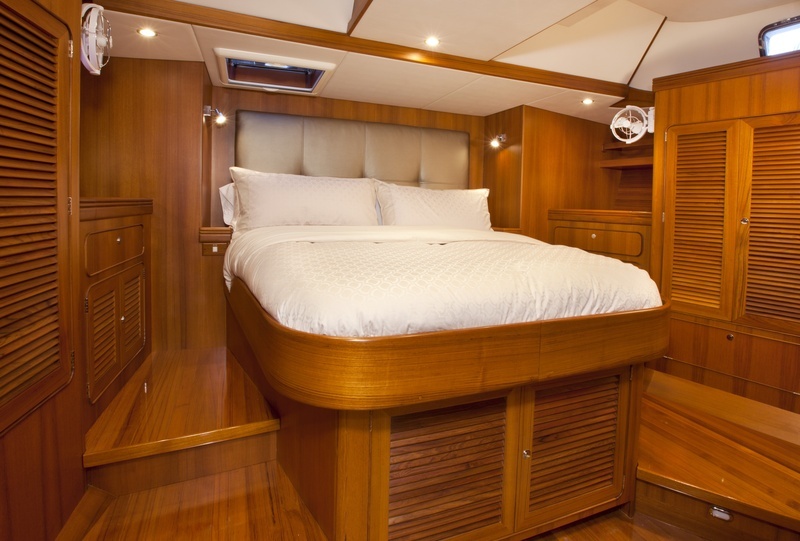 King centerline berth with custom mattress. Berth base is lifting design with dual heavy duty lifting arms to access storage space and systems. 5" shelves on port and starboard side of berth. 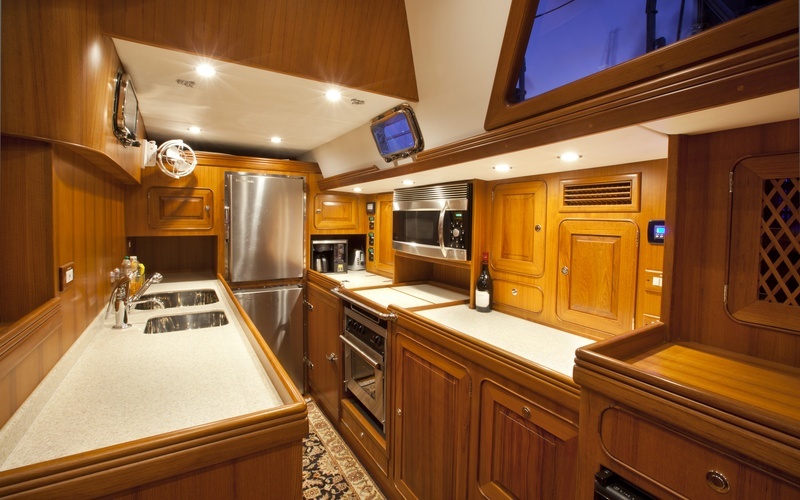 There are drawers and hanging lockers port and starboard, with split cabinet door and three removable shelves to starboard, and split cabinet doors to port. Full queen Pullman style double berth, 64" wide. There are two heads forward with shower stall betwen. 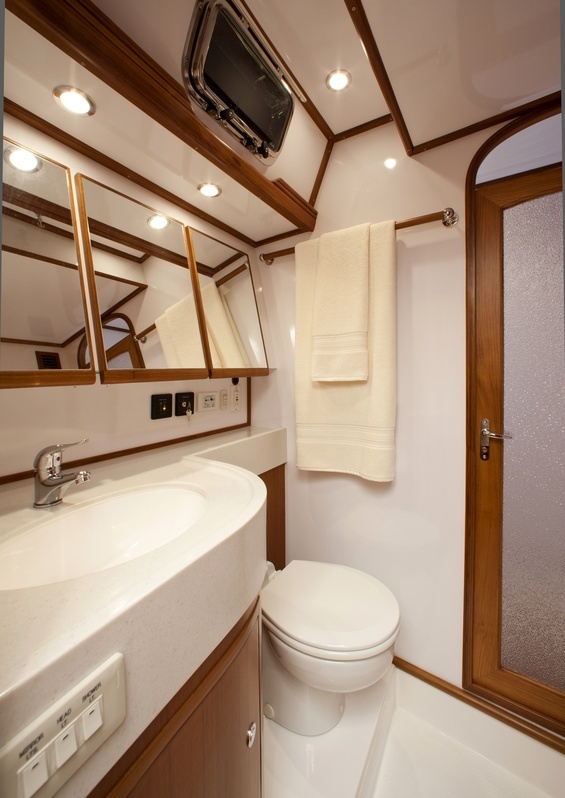 Upper/lower design with berths and hanging locker located forward of berths, drawers below lower berth. 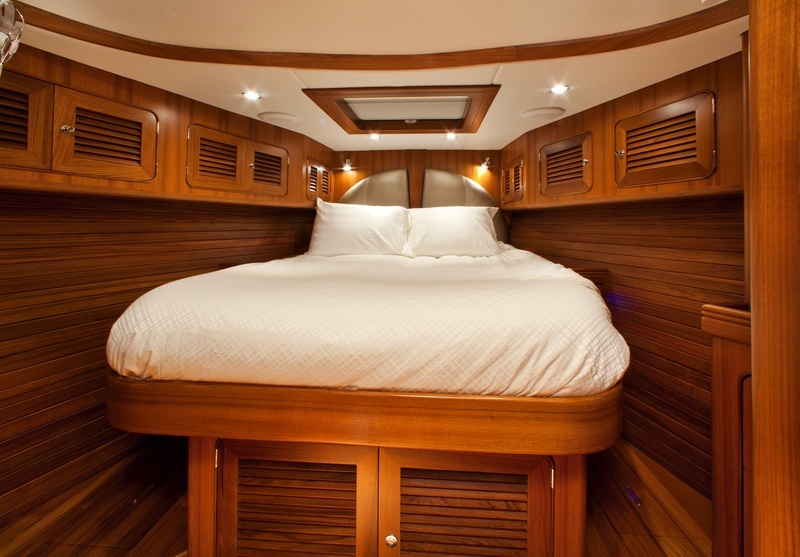 Wider berths, 34" at the widest part for both upper and lower berths. Mirror mounted on inboard cabin side of head door. Nav station with forward facing desk with swing out seat aft forward end. Desk has lifting top and opening for computer storage, with an open shelf forward and outboard filing cabinet underneath. Electronics and radios are flush mounted. Electric break panels, monitor gauges and switch consoles. Raw water strainer to engine: ARG-1250 Groco water strainer 1-1/4"
GRP (fiberglass) deck construction with 3/4" sandwich Balsa core with molded light grey non skid and wider companionway. Solid GRP fiberglass located where deck, deck fittings and stress area are located. Teak cockpit floor. Hull to deck joined with 3M 5200 and S/S bolts. Watertight collision bulkhead forward with independent overboard drainage. Watertight stern bulkhead across aft lazarettes. Sail locker forward with separate divided anchor locker. 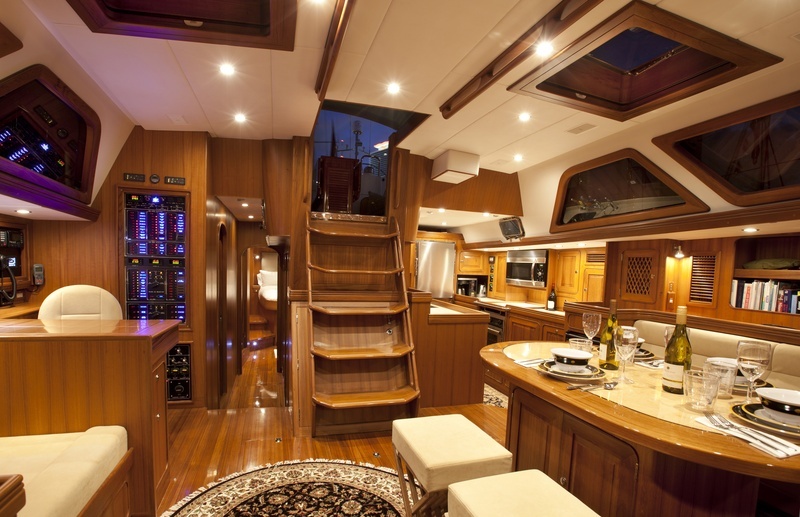 Transom steps and swim platform; stern garage with dedicated Rule auto bilge pump. 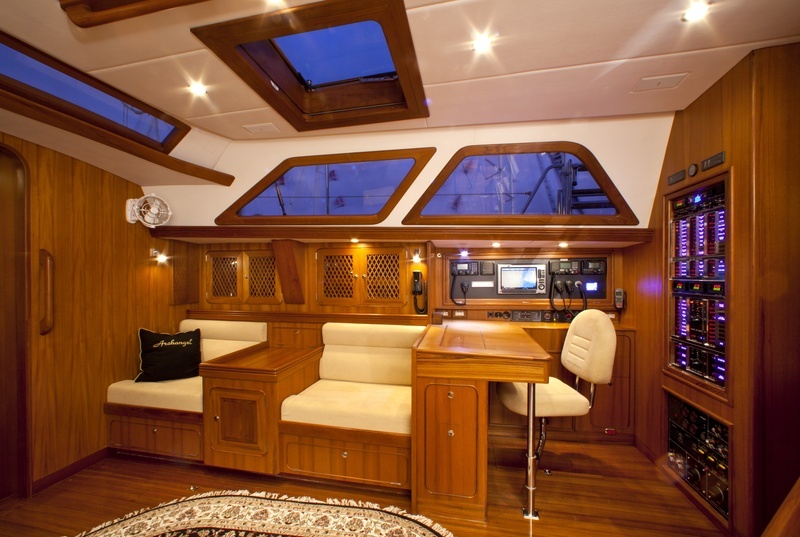 Large aft deck lazarettes, port and starboard with dual Bailey latches for watertight seal. 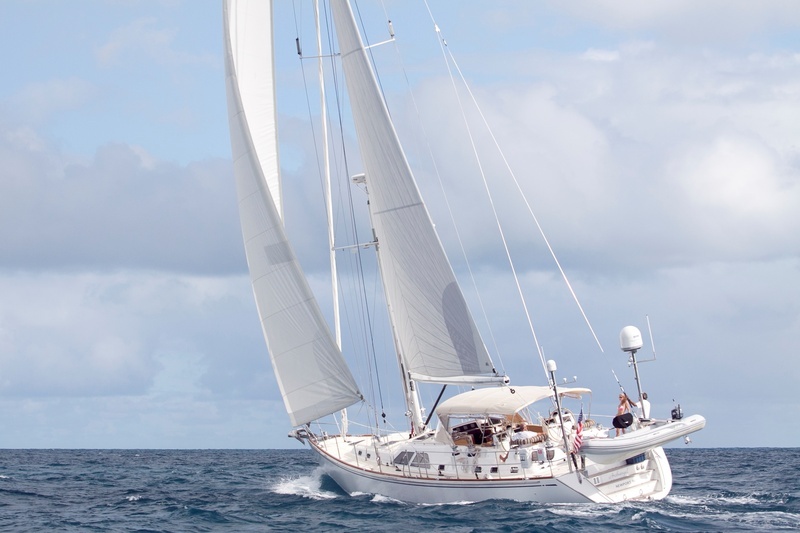 Archangel, a 2011 state of the art Hylas 70, hull #10, is a recently delivered high quality performance cruising yacht that has everything to insure maximum enjoyment and comfort under sail or in port. Her owner is offering two (2) 20% membership interests (retaining 60% for himself) and will oversee the scheduling, financial and maintenance management. 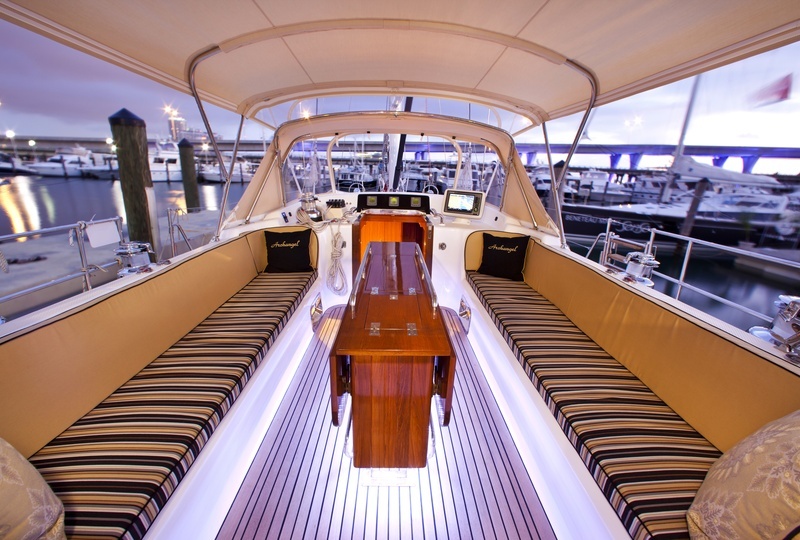 Each 20% member will have the advantages of a captained yacht available for 4 weeks in the Caribbean during the winter and four weeks in New England in the summer during the prime season. There will be scheduling flexibility including two weeks intervals for members' use.